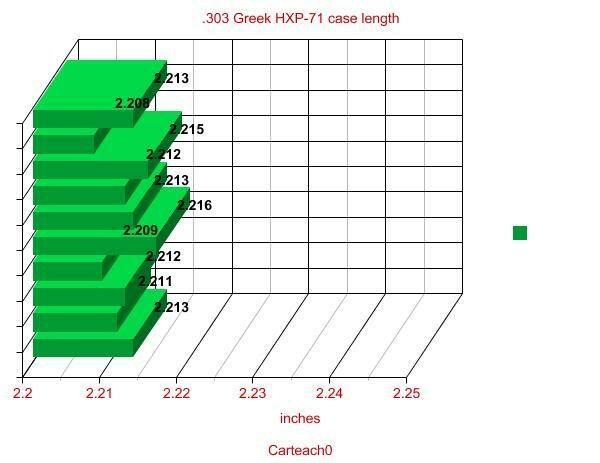 This installment looks at Greek .303 ammunition, specifically the HXP-71 FMJ mil-surp. 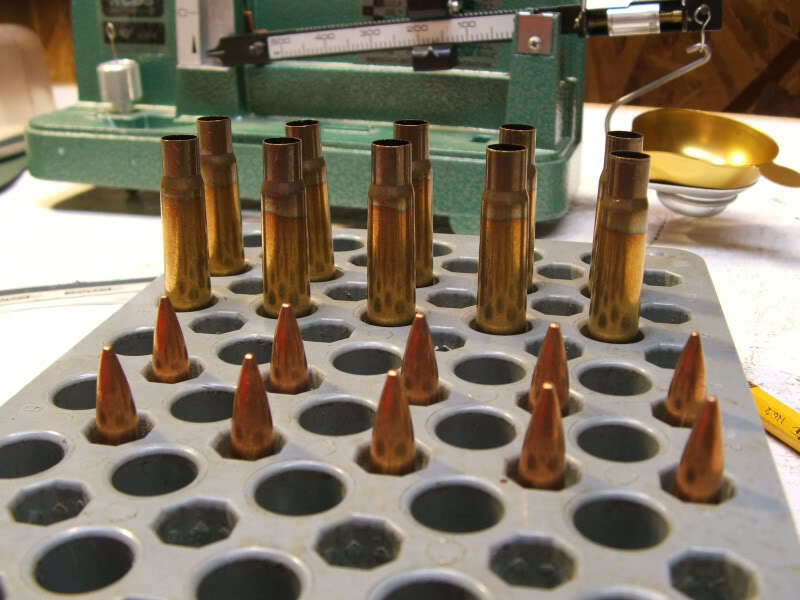 The usual ten round sample is taken apart and inspected, weighed, and measured. adventure I'm not sure the brass is what I thought it was. 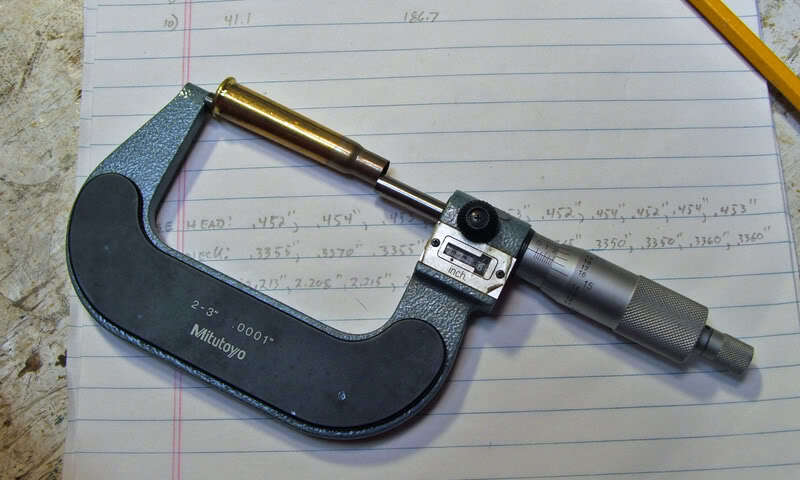 were used for dimension measurements. 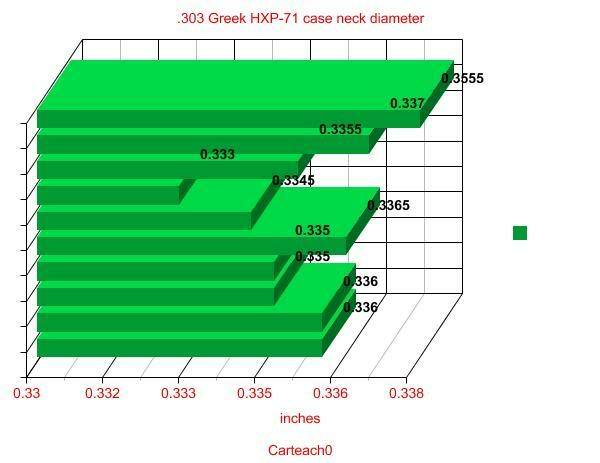 Case dimension measurement were made of the head diameter, the neck diameter, and the case length. is desired on the menu. inconsistency in bullet tension in the neck. This is especially true with sealed military cartridges. 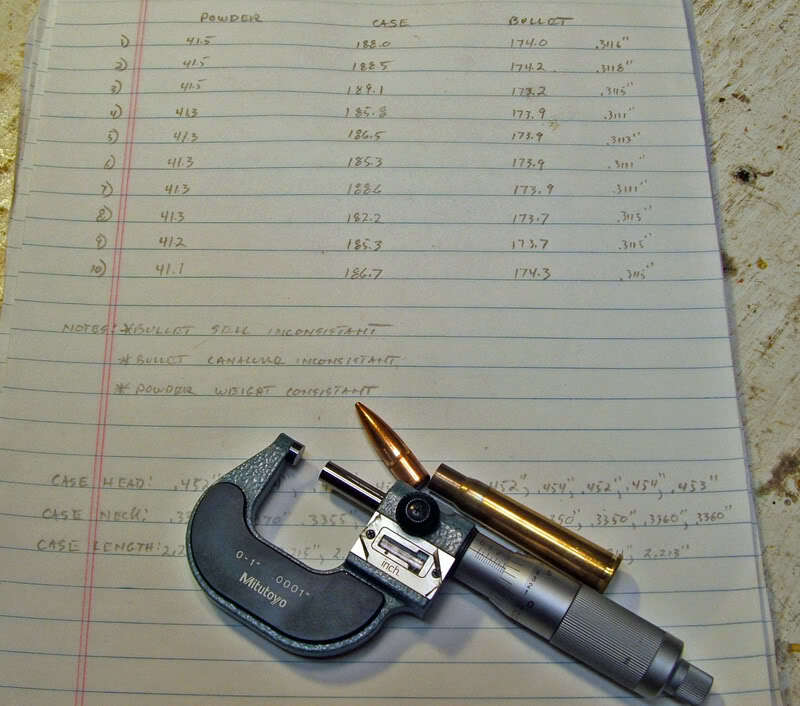 Would these case dimension numbers stop me from buying the ammunition? 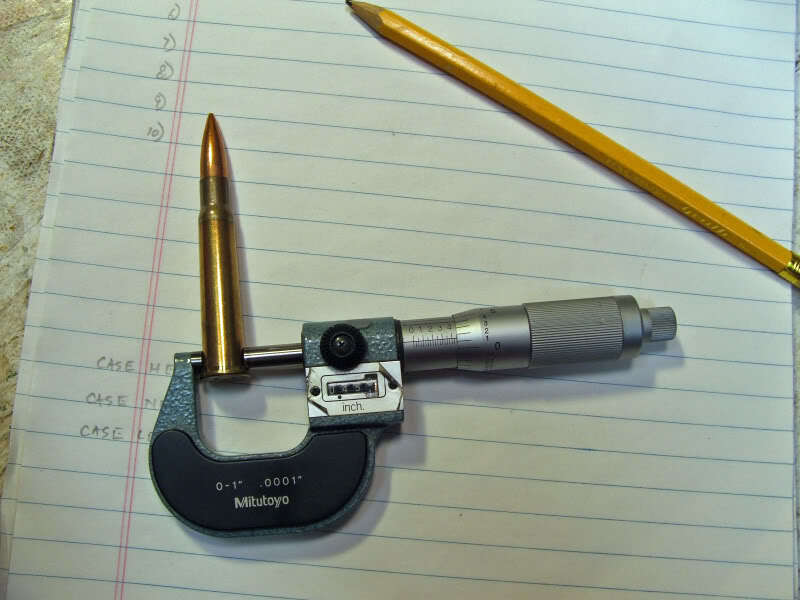 with average accuracy and results. and it was needed. Several of these rounds took three tries to pull the bullet! bullets before measuring their diameter, so out came the carb cleaner and rag. Another note regarding the bullets, and the first like it in my experience. 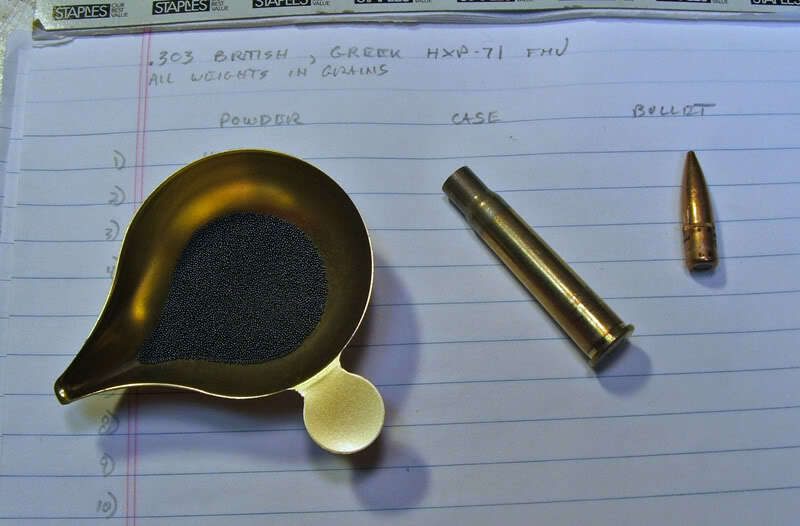 The FMJ spitzer design bullet does have a canalure, and did have the case crimped into it. impressed. This points to indifferent quality control. 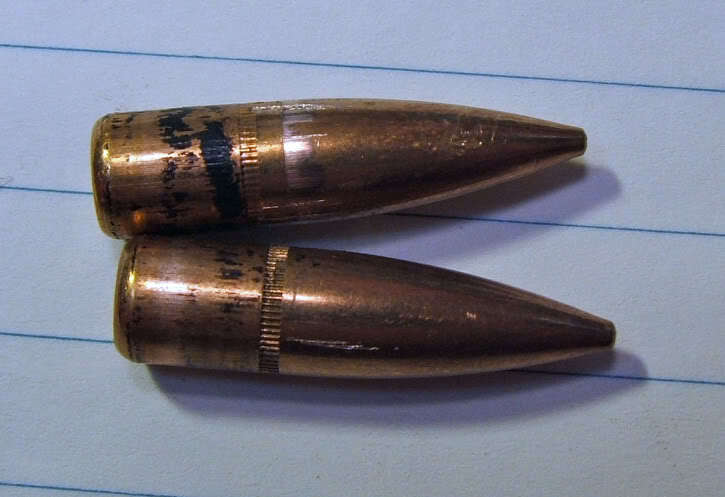 A big issue in military ball ammo? Not really, but another nail in the coffin of accuracy. 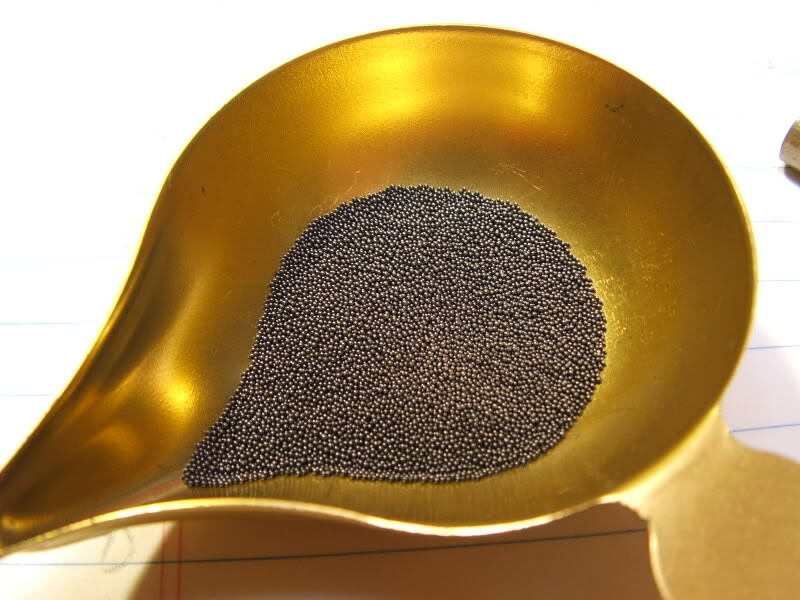 The powder was a very fine ball powder, resembling some of the Winchester offerings. was pretty consistent, as it should be. This powder should be a dream to meter. at 41.3 or 41.5 grains. 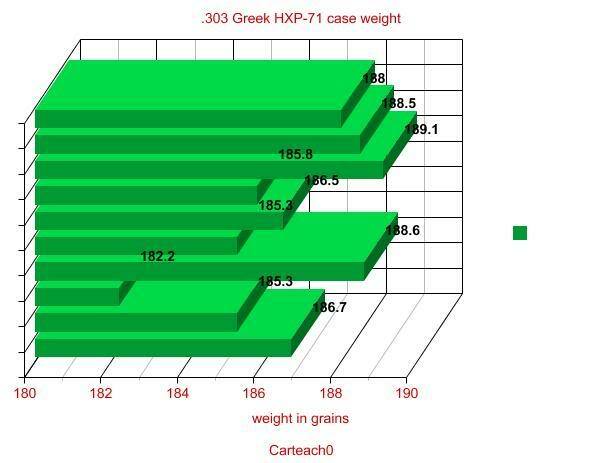 of this breed in excess of six times already with moderate loads and neck sizing. 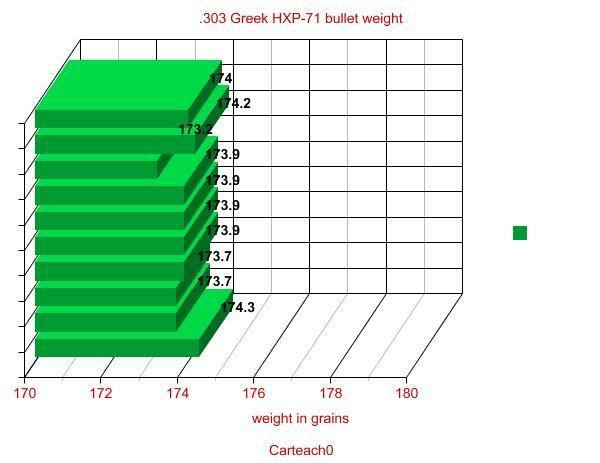 Bullets: Weights were reasonably consistant, from a high of 174.2 grains to a low of 173.2 grains. considering almost all .303 Brits start at .312" and go up fast. My own No4 MkII slugs at .312". 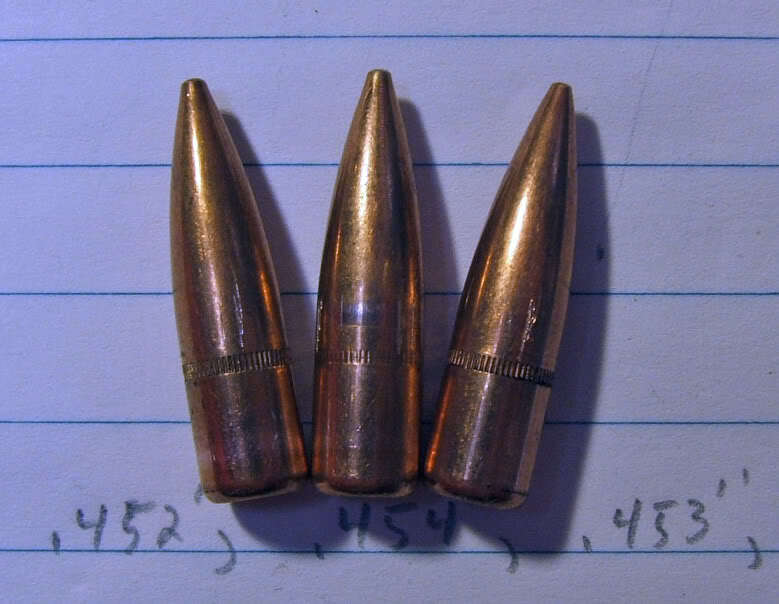 Undersize bullets rarely ever shoot accuratly, but they certainly function just fine. functions perfectly, goes bang every time, and is certainly worth buying. Winchester quality. It's tough though. 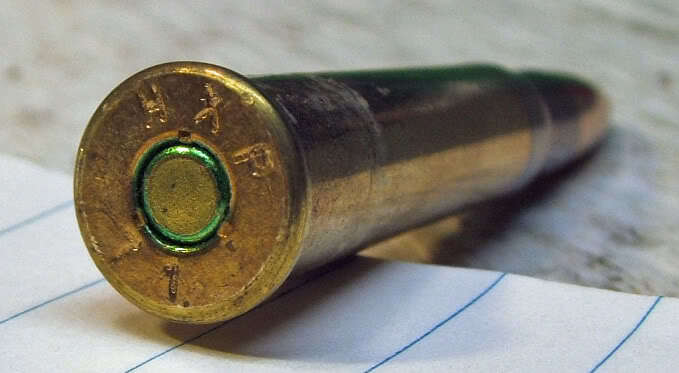 As for the heavy copper fouling I get from this ammunition..... I am not kidding. extended clean time with lots of Sweets 7.62 going down the bore. 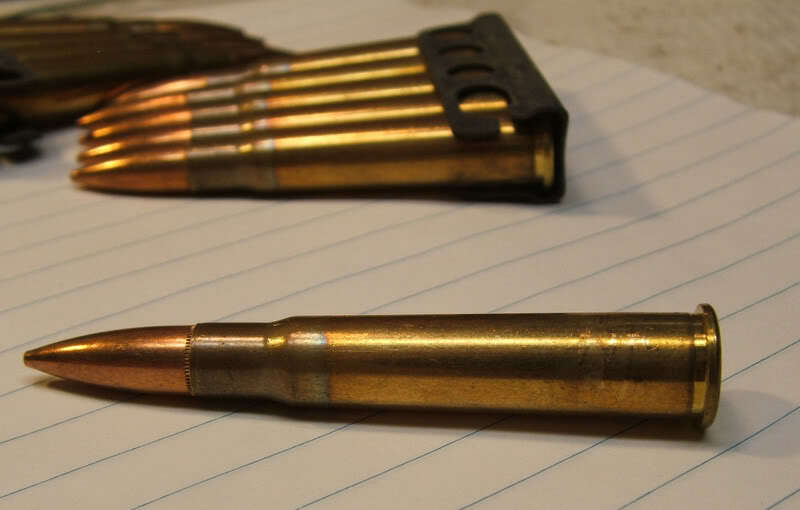 That's weird I don't get any foiling ftom my grade B Hxp 303 I shoot it in a #4 Mk 2 and a p14 its not very accurate but nice to reload. Is the whole box .270 or just one cartridge? Interesting either way.